Are you trying to find out whether your present weight is perfect or not? Most of the women usually have a number of questions regarding their weight and ignorance often leads to problems of unwanted obesity or issues like anorexia. Well, you can opt for a Height and Weight Chart Templates for women here, as a height weight bmi chart will show how much weight is the ideal weight, how much is overweight and how much is underweight for an adult woman of your height. In this context, it must be mentioned that the ideal weight usually differs based on race or ethnicity. 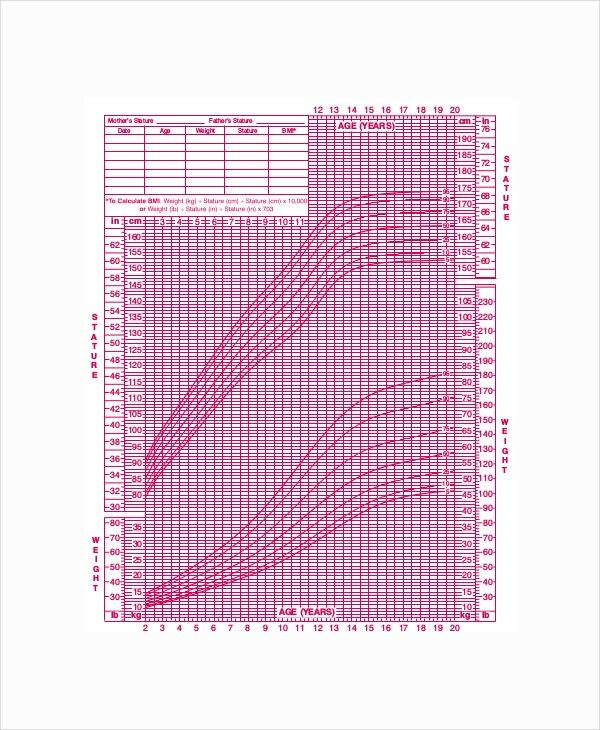 A height and weight Chart Templates for women sample comes in handy to check whether you are in perfect health or need to give attention to your fitness and weight management regime. 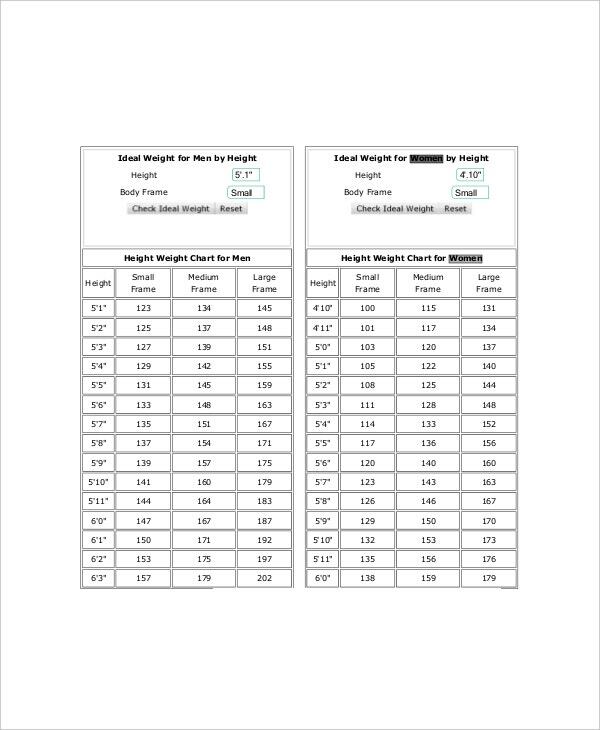 There are ready-made height and weight chart for women templates that would be convenient for you. The article below is a brief discussion on these charts. 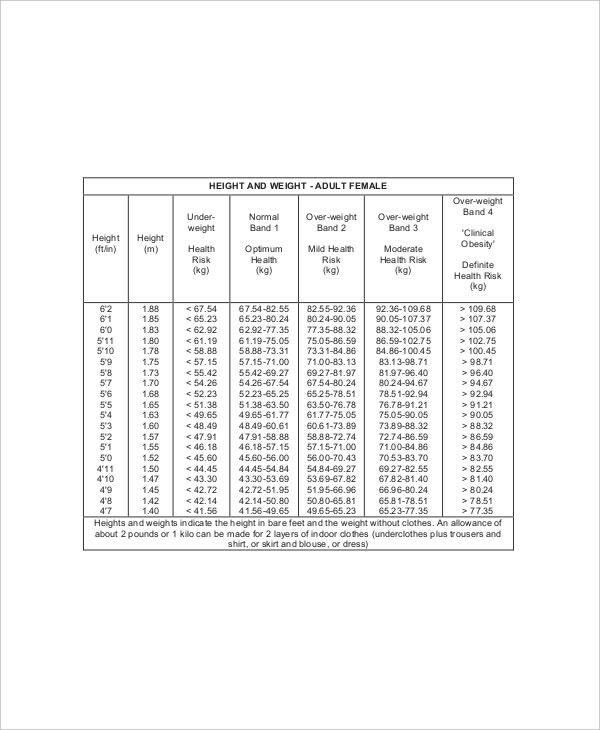 A height and weight chart for women in pounds template shows the ideal weight in lbs metrics. 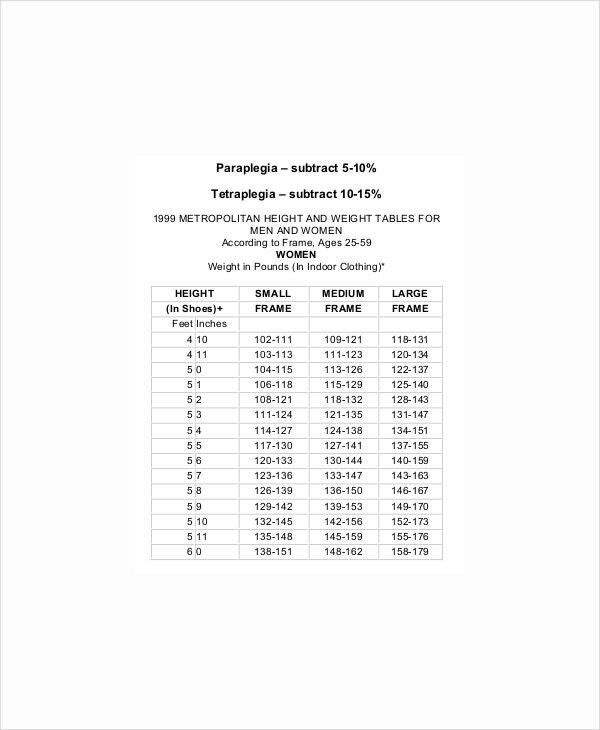 A height and weight chart for women in kg template shows the ideal weight of women with respect to height in kilogram metrics. 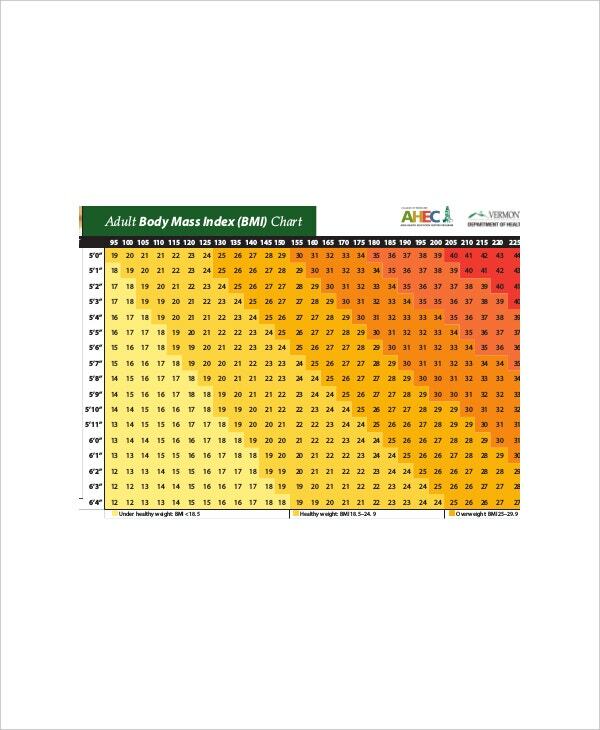 A height and weight BMI chart for women template sample calculates the ideal unit of body fat for adult women, in relation to her height & weight. You can also see Baby Weight Gain Charts. A height and weight chart for women by age template expresses the ideal height and weight of a woman based on different age groups. 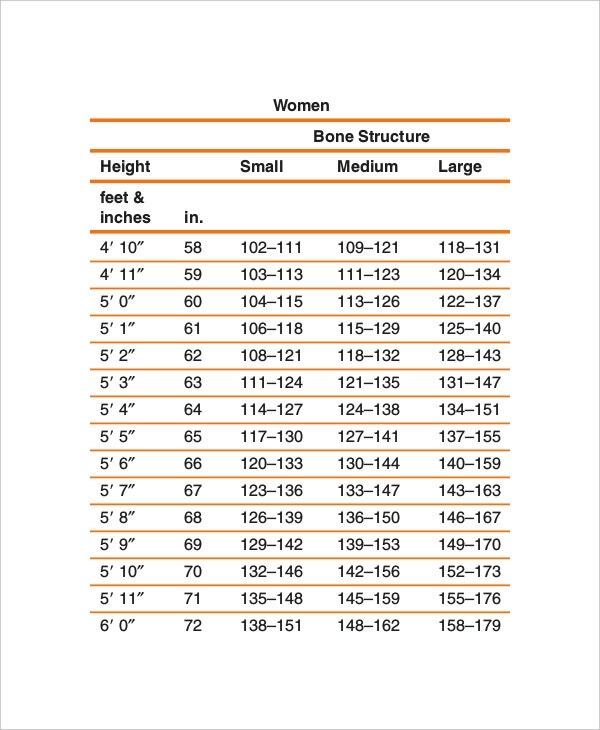 A height and weight chart for women by body frame template will offer a ready picture of ideal weight for an adult woman based on her body frame size. 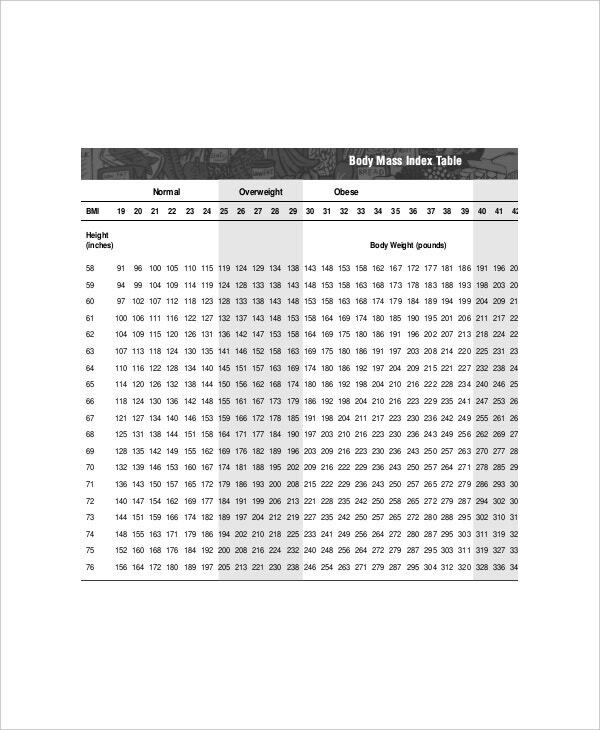 It is always wiser to go for a Height and Weight Chart Templates for women example because here you are getting a complete view of what your target or normal weight should be according to your height- as well as whether you are overweight or underweight. This way, you will know whether you would have to make changes and to what degree, to attain the ideal weight. These charts are for women above 18 years of age. The chart template you chose must be for your own race. If you are in quest of the best height and weight chart for women template online, template.net would be a great platform for you with its expert templates.